The Board of Cycling Ireland have today announced the appointment of Matt McKerrow as the new CEO of Cycling Ireland, the national governing body for the sport of cycling in Ireland. Matt is a highly-experienced executive in the world of sport, with an impressive resume both in Ireland and internationally. 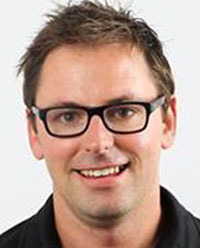 Matt’s most recent role was in High Performance innovation and Partnership Management to numerous sports with Sport New Zealand. He now returns to Ireland where he previously held the position of CEO of Triathlon Ireland from 2009 to 2013. Matt McKerrow, who hails from Australia, said: “I am delighted to take up the role of Chief Executive of Cycling Ireland, and I'm looking forward to working with all of the Cycling Ireland stakeholders across the island of Ireland. It's a hugely exciting time for cycling in Ireland, both on a sporting level and from an activity participation perspective. "I note Cycling Ireland's level of success on the road, track and off-road has been hugely impressive in the recent years, and I look forward to leading its continuing development in the run-up to the Tokyo 2020 Olympic Games and Paralympic Games. The popularity of cycling has grown substantially over the last number of years and I believe there are significant opportunities ahead for Cycling Ireland to develop the sport and participation further." "We are delighted to have someone of Matt’s calibre and experience joining Cycling Ireland. The development of cycling as a competitive sport and leisure activity has enormous potential and we are confident that Matt, with the support of the staff and Cycling Ireland's vital volunteer base, will play a key role in achieving that objective." The Board of Cycling Ireland would also like to take this opportunity to acknowledge the outstanding work of John Foley in his role as Interim CEO for the past six months, and the support and assistance of Sport Ireland in the recruitment process. Matt will begin his role from May 1, 2019 and will work with John for a number of weeks during the handover.